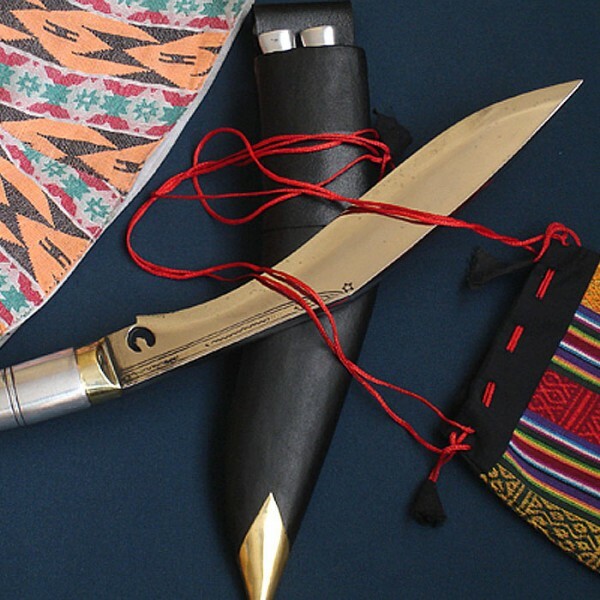 Chainpur is located in Eastern Nepal from which comes the name of this particular knife. Hence it is called Chainpure leather. It has a beautiful blade and a unique handle also it has a close notch not found in other knives. 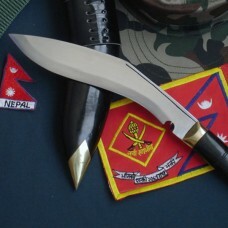 It makes this khukuri very unique than others. 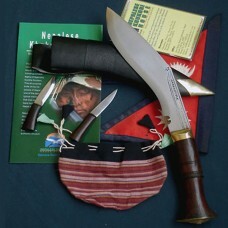 The buffalo leather is used to make scabbard. 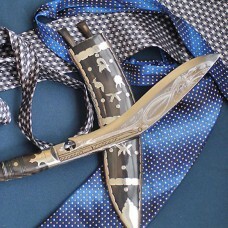 The blade of the Khukuri can be beautifully engraved with Dragon. The length of the blade is 10" long and measures 15" with 5" long handle. 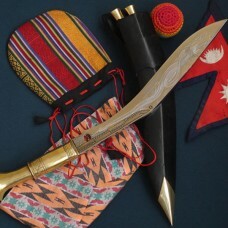 This Khukuri weighs 700 grams. 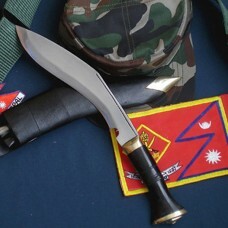 It is not military issue but is used as domestic weapon by Gurkhas. The handle is made of wood or horn. The total shipping weight including display wooden stand with packing will 1.5kg.